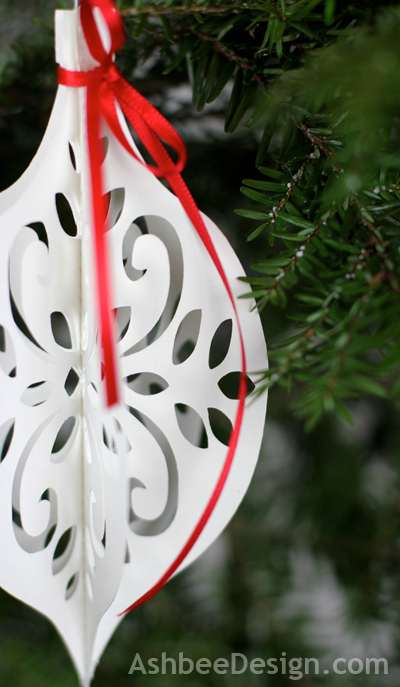 I continue to explore my new Silhouette Cameo as I prepare our home for Christmas. 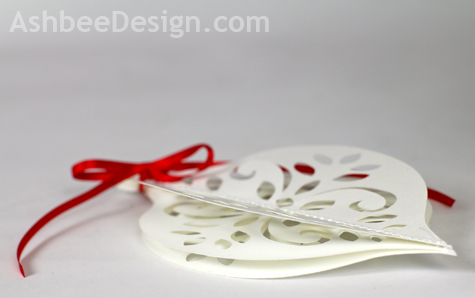 Today, I applied the same concept I used to craft the lacy trees but to lacy ornaments instead. 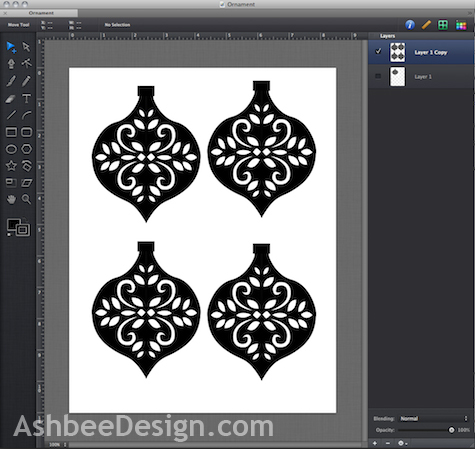 Using the various resize and stretch commands, I could use the same template but cut a variety of different size and shaped ornaments. I created a lacy template in black and white using iDraw. This is a new drawing program David recommended. I need to be able to master bézier curves and Illustrator is so complex. I was struggling in Pages so David recommended iDraw. I was being productive with more control much more quickly than with either of the other two programs. I'll have to continue exploring its possibilities. When I created the trees, I used two cut-outs for each tree. 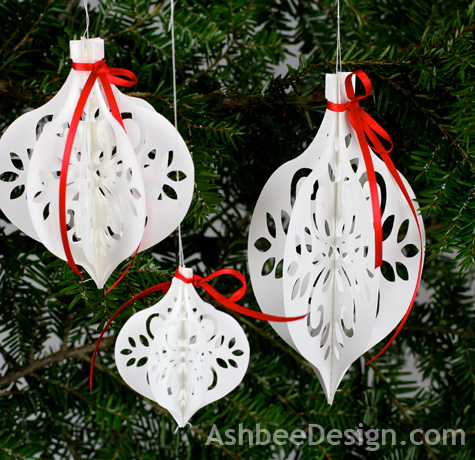 For the ornaments I wanted a rounder appearance so first I tried four and sewed them together. That was too much. On subsequent designs I used three layers stitched together. 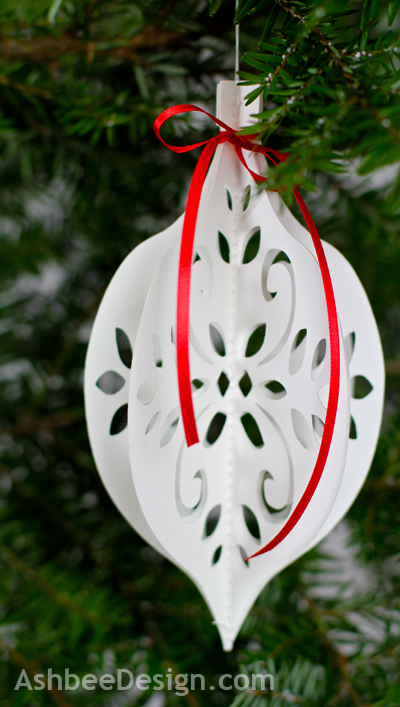 A hidden advantage to these ornaments is that they fold flat. If you live in an apartment or lack for space, these would be much easier to store in the off season! Also, unbreakable! Think grandkids and kitties. Hi Merry, Thanks, This is a tool that was made for me! I have so many ideas....just not enough time. Common problem. Very pretty! Thanks for sharing. Visting from Between Naps on the Porch. These are beautiful! Thanks for sharing today. Thanks everyone for stopping by an commenting. I am loving the Silhouette Cameo. It is definitely keeping me playing and not working. So many ideas. Stay tuned for more and wait until you see my Christmas Card this year!!! !